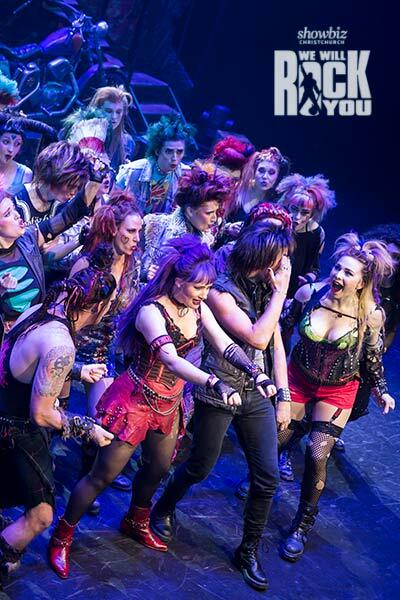 We Will Rock You is the latest musical show to grace the stage of The Isaac Theatre Royal, and it keeps its promise, you will be rocked. 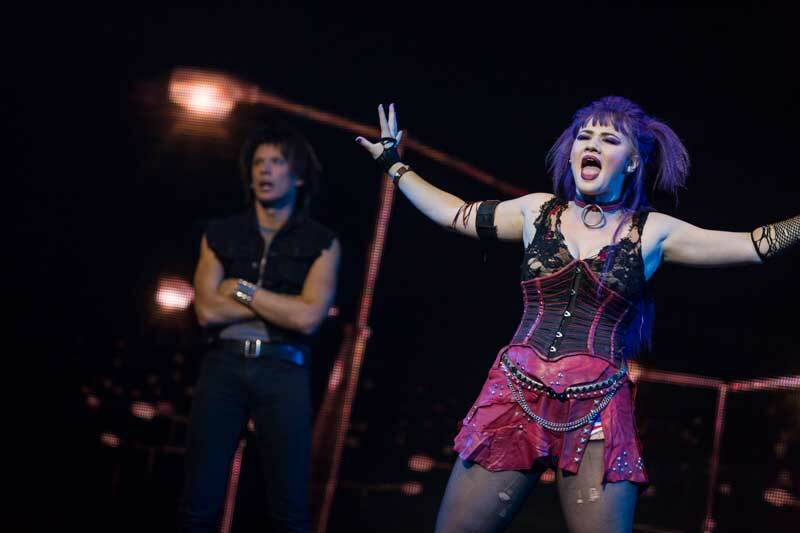 We Will Rock You is a story about rebellion, set to the music of Queen, with outrageous futuristic or punk costumes, and an endless supply of music references and jokes. You don’t have to be a Queen fan but it definitely doesn’t hurt to be a fan of pop music culture because the jokes will be that much funnier. Exhibit Brit, a rather rough and tough male character who proudly identifies his full chosen name is “Britney Spears”. With gags like that you know that you’re in for a good time. Listening to this show it isn’t hard to remember why they still call Freddie Mercury a genius. The range of songs that Queen has given the world is why the entire list of musical numbers [in the musical] can be made up of their work. There are 23 different Queen songs in this show, most of them so perfect a band would be lucky just to produce one in their career. While it would be hard to pick a favourite you could do worse than Killer Queen or the show closer (which they really make you beg for) Bohemian Rhapsody. Don’t be fooled into thinking this is just a bunch of jokes, excellent music, and more leather than a field full of cows. There is a serious message here. In a time where we are really questioning the massive amount of power that a few internet giants hold over our lives this really is a story of what the future could look like if we let it. It is outrageous and at times almost cartoonish, but it could be our future. The gags might take things to extremes, evil villain Killer Queen’s hair or the white and rather distressingly tight outfits of the “Gaga Kids”, but there is still a strong undercurrent of truth. For decades the music of Queen has been a part of our collective culture. The writer of this show, Ben Elton, knows a thing or two about pop culture, about making fun of it, and about becoming part of it. You might not be familiar with his name but you probably know his work on comedic classic TV series like “Blackadder” or “The Young Ones”. His joyful, playful, biting, and absurd sense of humour comes through in this show in a way that is delightful and eye-rolling at the same time. Welcome to the “iPlanet” (Earth has been rebranded), where nobody communicates in real life, individuality is strongly discouraged, and live music is banned. On this planet we have the dreamer dude Galileo Figaro, played by Caleb Jago-Ward who looks remarkably like a young Bon Jovi. 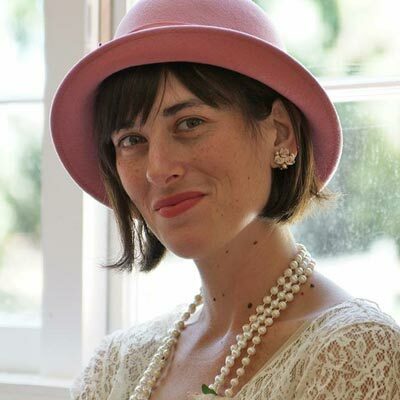 Then we have badass babe Scaramouche (and if you think that is a odd name or that you shouldn’t call her “babe”, well so does she) played by the fantastically talented Jane Leonard. What develops from here is a story of love story, of teenage rebellion, and of why it is important that music keeps being created for love not money. But where in another telling of this story Scaramouche could have been relegated to sitting on the sidelines cheering on the musical hero Galileo, that simply isn’t the case here. She’s tough, she fights for what she wants, she runs towards the danger, and she doesn’t take any condescending talk from anyone. Meanwhile Galileo spouts out musical lyrics that just appear in his head, with no idea what they mean, but excellent comedic timing (“Scaramouche will you do the fandango?” does not go down well with her). For regular attendees to the theatre, used to seeing the orchestra or band tucked away under the stage, it might be quite the surprise to see them on a platform precariously high above the stage, as much a part of the show for the eyes as they are for the ears. Multiple electric guitars replace the usual violins or oboes. So that what you end up with is an awesome lineup of musicians playing great songs in a very rock n’ roll way. Add to that the supporting ensemble singing and dancing to fill the stage with their energy and enthusiasm, not an easy feat in some of the skin tight costumes, and you have something that could easily be described as “a kind of magic”. While the baddies are definitely bad they still are relatable. Who doesn’t want to be special? Killer Queen (played to nasty perfection by Naomi Ferguson) just wants to be special by ensuring nobody else is. Her evil henchman Khashoggi (played by the excellent Jack Fraser), well he just wants to avoid having his brain fried by his boss. The usual office politics. And what about the goodies? Well they hang out in the run down beat up Hard Rock Cafe. 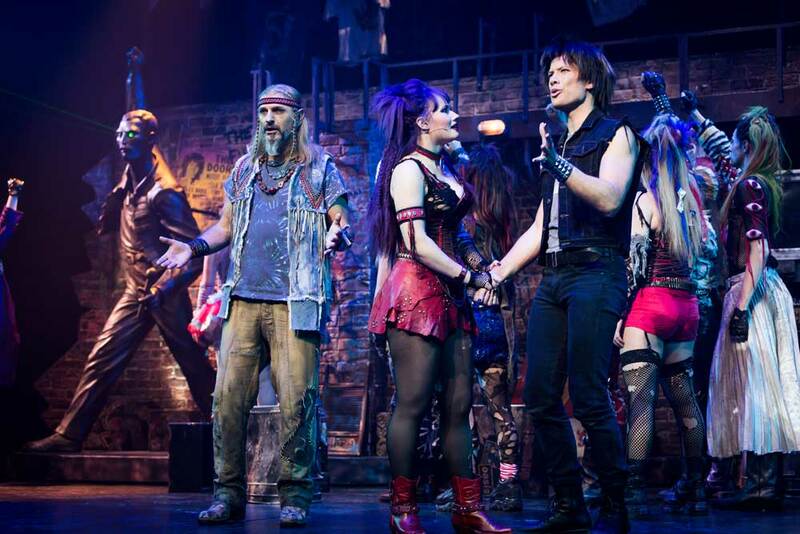 They are a punk dressing group of bohemians including VHS wielding Buddy (as in Holly played by Aaron Boyce), outrageous Oz (as in Osbourne played by Catherine Hay) and her lover boy risk-taker Brit (as in Spears played by Tom Hart). So what do the Bohemians want? They want music, they don’t know what it is or what it sounds like or even how to play a VHS tape, but they know deep down in their souls it’s what they need. And in the end everyone needs that, we need music to keep us human, to make us think, cry, be angry, and to unwind. We Will Rock You is a promise kept of all that and more. Buy tickets, see the show, remember why you love music and life.